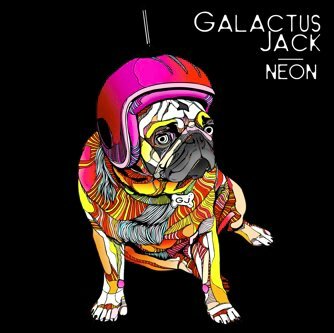 It seems like forever since we first heard that Galactus Jack was releasing his follow up album titled NEON. I have to admit I'm not the most patient of people, but as Galactus Jack's first album Reality Bytes was so good, I was more than willing to wait for this new EP, as hard as that was at times. Read More It seems like forever since we first heard that Galactus Jack was releasing his follow up album titled NEON. I have to admit I'm not the most patient of people, but as Galactus Jack's first album Reality Bytes was so good, I was more than willing to wait for this new EP, as hard as that was at times. Of course Galactus Jack wasn't just holding off the release of this EP to annoy me. In that time he has written a great book called The Pursuit, toured with Chip Kendall, and done talks to students about God, Creation and all that goes with that. With my expectations being so high, I suppose my biggest worry about this album was that I was going to be disappointed. Thankfully the answer to that is a massive no. Galactus Jack has come back stronger, louder and more creative than ever. If you thought Reality Bytes was good, then you're in for a massive treat with these 7 tracks. The majority of the EP is instrumental dance music, with Mr Jack letting the music do the talking, using every trick in the book to build drama and excitement in the songs. The EP opens with On, which I thought could easily be mistaken for the start of a Muse track. The song builds and builds for just under a minute, to a place where you're just ready with excitement to hear what else there is to come. Before you have time to breathe we're into the next track, RocketReal, which slowly builds into a great dance tune. The track starts off a little mellow, but then moves into a tune you can move your feet to on the dance floor. Up next is Discontque, which does have a very chilled vibe to it, but what is hidden under the song is actually a little bit of 70's disco. I'm not talking Saturday Night Fever, but there is definitely a groove to it with inspiration from the Disco era. The instrumental dance sounds continue with the song Pre-Vis, but it's the next two tracks that smack this EP out of the park in style. The title track comes in two parts, firstly we see Neon Pt 1 which is a slightly crazy song with a lot of random synths adding an air of mystery to it. In Neon Pt 2 we then get into the real business. Neon Pt 2 is basically the single of the album in my eyes, it has all the ingredients in the mix that are needed to make any great song popular. It's a slightly slower dance beat but with some catchy clever bleeps and beats and the stunning vocals of Dawn Elektra. If I had to tell you to download just one song now, this would be it. If you're a fan of dance music like Justice, Skrillex, Deadmau5, Daft Punk and Andy Hunter, then Neon is a must for your collection. This EP is a massive step forward in sound and production, and this must be commended. I don't think this EP has as many catchy poppy tracks as Galactus Jack's first album, but I don't think that is what he was aiming for. This is a great DJ creating music for everybody, be it a mate who likes a good Friday night out, or even for you to relax to when you're hanging round with your friends. Put this album on and I'm sure it will get the party going.